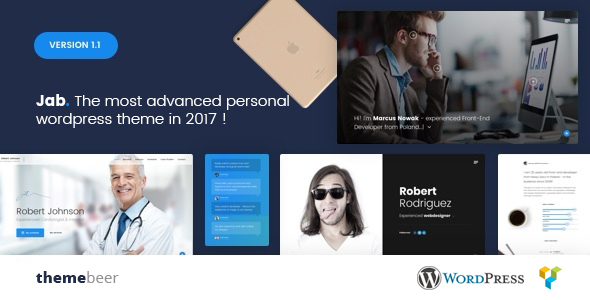 Jab is an advanced personal WordPress theme. It fits perfectly as a one-page resume / CV website or virtual business card. It has amazing concepts with different types of navigations and section transitions. Thanks to responsive design it is going to look and work awesome on any device!